Saturday's events in Muenster, Germany point once again to why Americans should both put military on our border as well as arm ourselves to the individual level we each determine is right for us. We’ve seen it before. A terror attack, a person filled with hate attempting to kill innocent people. In Muenster it was a beautiful Saturday when a monster decided he didn’t agree with an establishment that sold alcohol and the types of people that frequent and imbibe there, so he pointed his van into the middle of the crowded area, hit the accelerator, immediately killed some, sent many more to the hospital, and as we read this today some are still gasping for life. German officials at the time of this writing still have concerns about explosives he may have rigged in the van as well as at his residence. As of late Saturday, German officials were saying he was a German citizen with mental health issues, and at the time no suspected ties to terrorism. If the German officials are telling the truth then I guess all of us who were comparing gun deaths to auto deaths just weeks ago are a bit vindicated because disoriented and evil people will kill no matter the means necessary. But I’ll let the investigation play out just a bit longer before dismissing *any* connection to terrorism. The left will not know how to deal with the explanations of this attack. The left doesn’t want to discuss mental health. The left doesn’t want to discuss terrorism. The left, as idiotic as it sounds, doesn’t really want to be protected. The left argues that they only want the police (who they claim are shooting black men without cause) and the military (who they argue are baby-killers) to have all the guns. Yet even in that they are so mistrusting of these officials with guns they completely dismiss any attempt by the president to secure our borders by sending military to our southern perimeter. The arguments are so incongruous they are hard to even recognize. So it’s obvious that the American left doesn’t think security--both personally (guns) or corporately (borders/immigration)—is an issue that we should take seriously. Neither did Germany, a few years ago. But with the jury still being out on the motives of Saturday’s attacker aside—they have a long history of dealing with immigrants gone bad, especially large numbers of unscreened migrant immigrants from portions of the world that have rather significant problems. President Trump is within his right and responsibility (important to note) to do all that is necessary to protect the American homeland. It’s one of his most well-defined constitutional responsibilities. Local communities in local municipalities and states can handle the non-major issues much better than the federal government can. But what it should be actively doing is securing our homeland, keeping our enemies at bay overseas, and ensuring the constitutional rights of every American—particularly the right to a vigorous self defense. 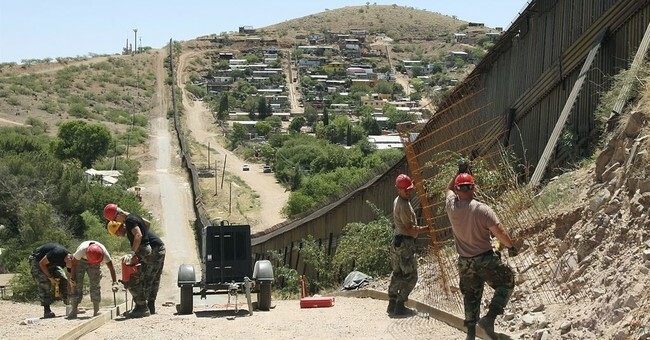 The fear of a militarized border was wildly exaggerated last week. Border Patrol has the primary responsibility and lead for all detainments and arrests. The president’s move to rid us of “catch and release” this weekend should help us track people who come here without the permission of the authorities. The overall reality of both are already having an impact. That now infamous 1000+ person caravan that had been heading to our border stopped dead in its tracks and headed back upon hearing of the new measures coming. Governors who refuse to fulfill their obligation to make their national guard units available if needed should be removed from office. Mayors who tip off criminal aliens in their cities to the coming ICE round-ups should be held in contempt and tried as agents working against the good of the nation. Illegals who commit additional crimes should be deported upon a finding of guilt. And states that do not believe they are morally or legally required to cooperate on the big picture of national security should lose all federal funding until they find their conscience. America is dependent upon lawful people, residing in lawfully observant states, cities, and towns, pulling for one another for the greater moral good. Having clearly defined borders, a clearly defined immigration process, and clearly defined consequences both good and bad for those who follow and ignore these definitions should be one of the major focuses of the federal government. The left has proven it's far too mentally unbalanced or insistently willful to be “able” to. Thankfully we finally have an administration that is taking it as seriously as every administration should. The stakes of what we will lose if we do not are playing out right on our television screens. We had best pay attention.